Get the single resource that defines – and illustrates – the rapidly evolving world of networking. 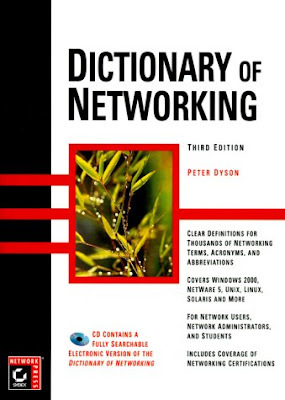 The second edition of the award-winning MICROSOFT ENCYCLOPEDIA OF NETWORKING has been fully updated – with thousands of entries detailing the latest technologies, standards, products, and services. You get clear, concise explanations, including hundreds of new articles and diagrams, that deftly take you from concept to real-world application. Get the single resource that defines – and illustrates – the rapidly evolving world of computer and network security. The MICROSOFT ENCYCLOPEDIA OF SECURITY delivers more than 1000 entries detailing the latest security-related issues, technologies, standards, products, and services. It covers the Microsoft Windows platform, as well as open-source technologies and the platforms and products of other major vendors such as Cisco and Sun. Clear, concise explanations and case scenarios deftly take you from concept to real-world application. This is an essential, one-of-a-kind reference for computer professionals at all levels, from computer science majors and professional certification candidates to senior systems engineers, developers, and managers. To every body i have joined to day and like to know this is possible that any one can give video links of Microsft Server 2003.